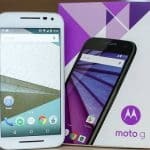 If you have got FRP Protection or mistakenly soft reset your moto devices, and unable to bypass google verification now, so you don’t need to worry about that, we have easier procedure to Bypass Google Account FRP Motorola on all moto devices, whether it is moto x play, or moto x series, or Moto G 3rd Gen, or other moto devices. 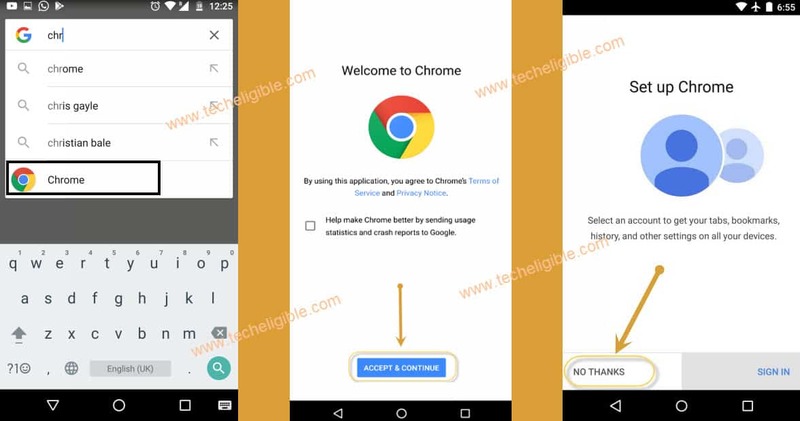 Bypass Google FRP Protection without any PC or without any SIM. 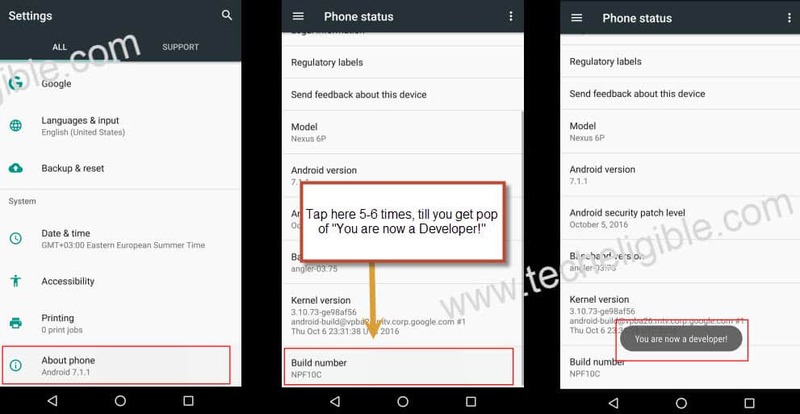 Note: This method is successfully tested on Moto X Play, Android 6.0.1, Android Security Patch Level 1 January 2017. If you have any other model except moto x series, you can apply this method on that device too. Warning: You do have 90% Battery before applying this process. 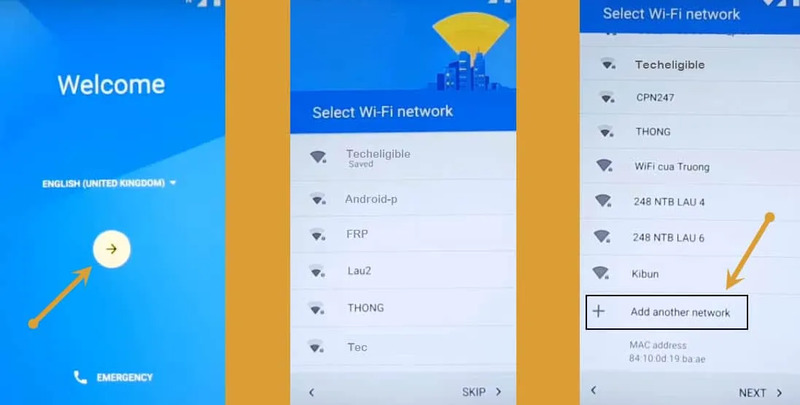 -Connect Wi-Fi to your Moto Device. -Swipe Up and tap on “Add Network”. 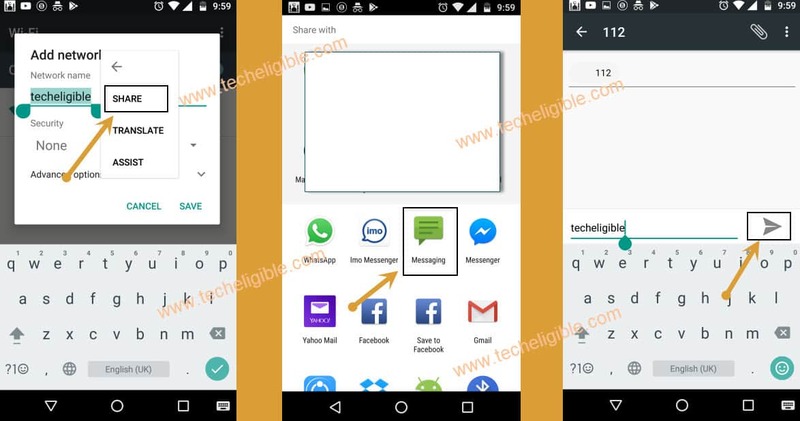 -Type ” Techeligible” in network name, and then “Double Tap” or “Long Press” on that text so that (CUT, COPY, SHARE) Options display. -Tap on “Share”, then tap on “Message” icon from bottom popup. -Type “112” number in “TO” Filed, where usually we type number to send message. -Now tap on “Send” icon to send message, after that “Call Icon” will appear on top right corner. -Tap on “Phone Call” icon. Note: If you are unable to remove frp, you can try our latest method to bypass Moto google account. 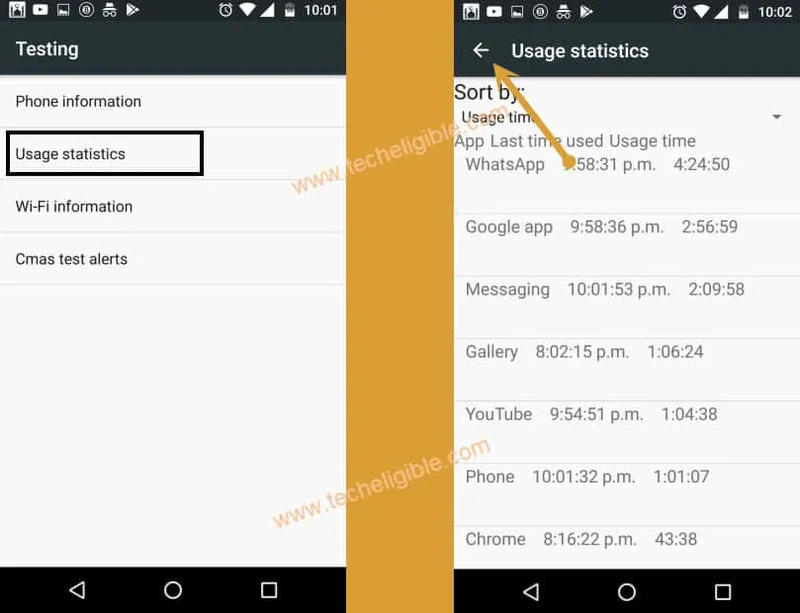 -Now tap on “Usage Statistics”. -After that tap on “Back Arrow” from top left corner. Note: If you don’t have “Developer Options Enabled”, then tap on “About Phone”, after that tap 5-6 times on “Build Number” until you get message of “Developer Options Enabled”. Now go back to “Settings” screen. -Tap on “Apps”, then “Google App”, after that tap on “Notifications”. -After that tap on “App Settings”. – Tap on “Now Cards”, and then enable “Show Cards”, after that tap on “No Thanks”, to open google. -Type in google search “Chrome”. -Tap on “Chrome” to open it, then tap on “Accept & Continue”, after that “No Thank You”. 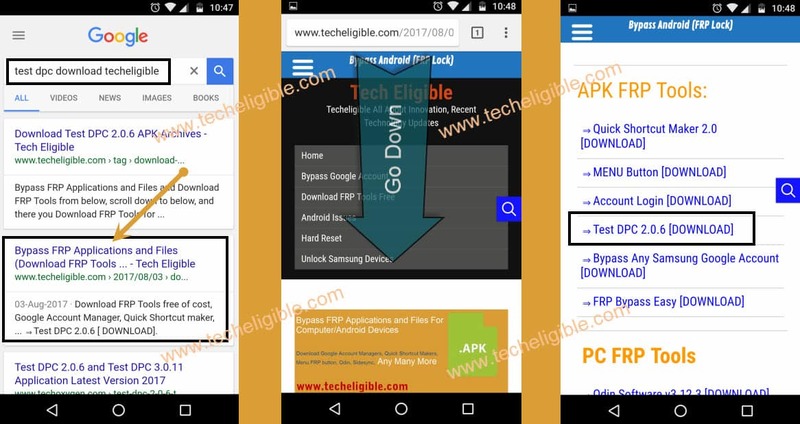 -Type in search bar “Test DPC Download techeligible“. -Open most relevant search result as shown in below image. -Tap on “Test DPC 2.0.6 or 4.0.5” to download it. -Once downloading finish, Keep tapping on “Back Key” from your moto device until you go back to “Google”. Note: If you get back to “Now Cards” screen, just enable from there “Show Cards”, then No thanks, and google will open. 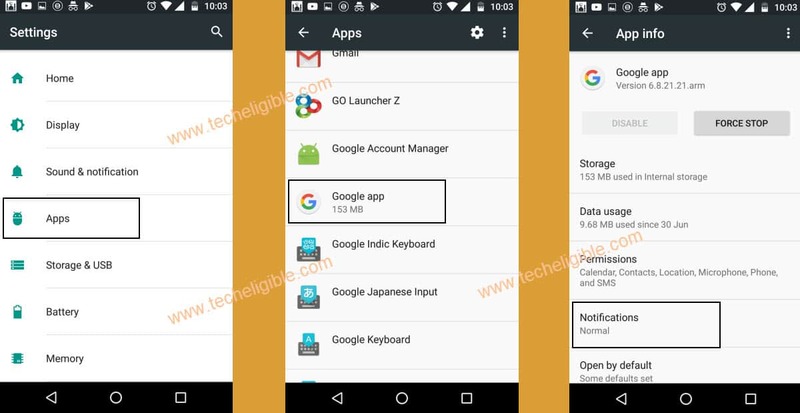 -Type “Download” in google, and tap on “Download” icon to open download folder. 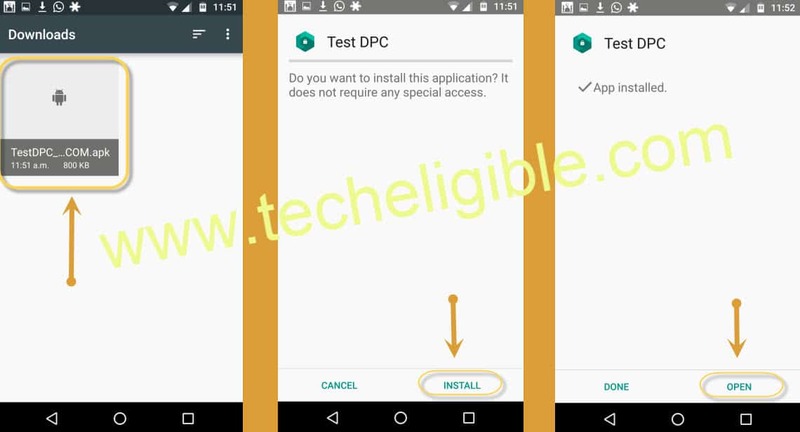 -Tap on “Test DPC Apk” file to install it. -Tap on “Install”, then tap on “Open”. 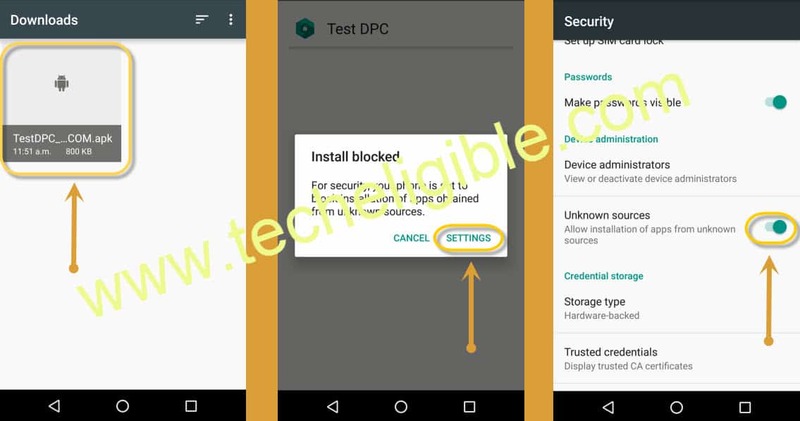 Note: If you get “Installation Blocked” popup, tap on “Settings” from popup, and then enable “Unknown Sources”, then again install “Test DPC“, and open it. -Now tap on “Set up device owner” from “Setup Management” screen, after that tap on “SET UP”. Remember: Your Moto Device must have 90% Battery, and put your Moto Device on “Charging” via charger, so that “ENCRYPT PHONE” option highlight. 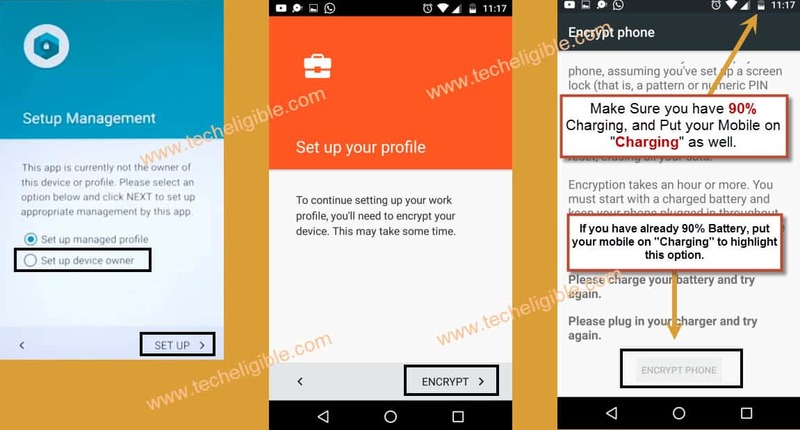 -Once you put your Moto device on charging, and it has already 90% charging, “ENCRYPT PHONE” will auto highlight, and then tap on that. 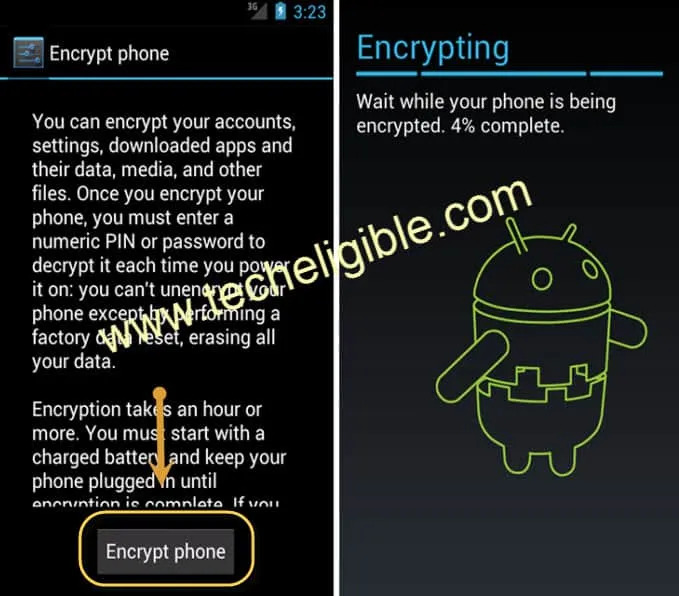 -Now MOTO device will auto restart, and it will start “Encrypting”. -Once encrypting process finish, wait until it restart, and then tap on “START” from Welcome Screen. -Now wait until “Wi-Fi” auto connected, then it will redirect you to “Set up your device” screen. -From there tap on “Setup”, then you will get a pop up of “Not Signed in”, from pop up tap on “Set up Phone”. 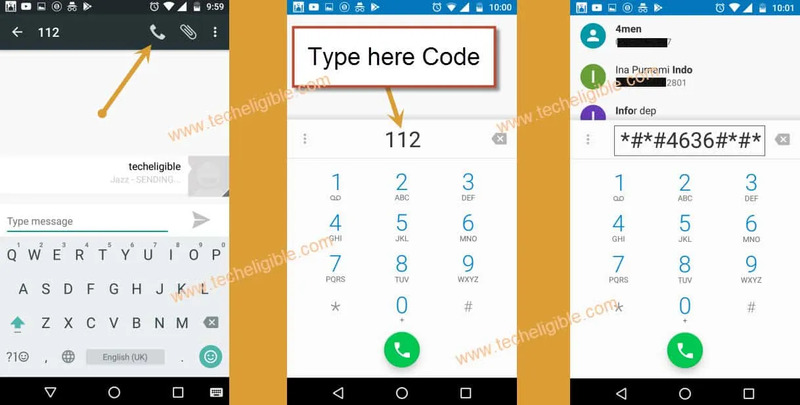 -Now you will get again same popup of “Not Signed in”, just press “Power key” and “Turn Off” your moto device to successfully Bypass Google Account FRP Motorola. -Press “Power Key” to switch on. -Tap on “Skip”, after that tap on “Next”. 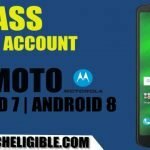 -Now tap on “FINISH” to finish Bypass Google Account FRP Motorola. -Go to Moto device “Settings”, then tap on “About Phone”, now tap 5-6 times on “Build Number” until you get pop up of “You are now a Developer”. -Now tap on “Back key”, then tap on “Developer Options”, and enable “OEM unlocking”. -Tap on “Back Key” to go back to “Settings”. -Tap on “Backup & Reset”, then “Factory Data Reset”, after that “Reset Phone”, then “ERASE EVERYTHING”. -Select your desire “Language”, tap on > Start > Skip > Skip Anyway > wait for several minutes > Skip > Skip Anyway > Accept & Continue > Next > Tap on “Not Now“, then > Next > now remove check from “Protect this device“, then tap on > Skip > Skip Anyway > now “Swipe Up” from google services, then tap on > Next. 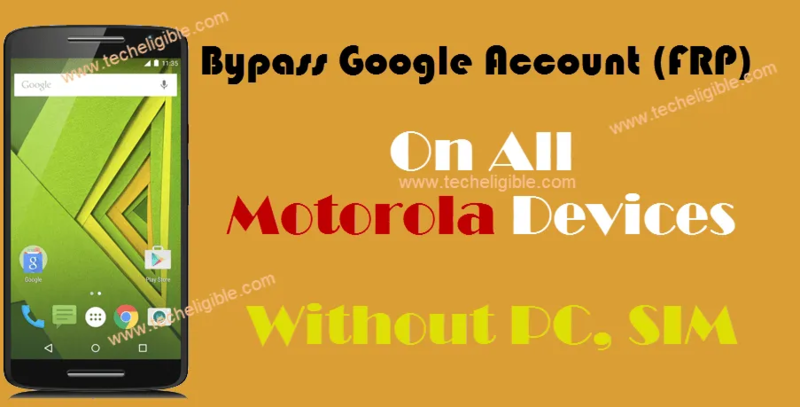 Now you have finished to Bypass Google Account FRP Motorola. cant open google in settings, all things blocked, cant download anything on moto E 2105 model Lollipop 5.1 Android patch must have modified all these backdoors. Hey there, @admin techeligible !! 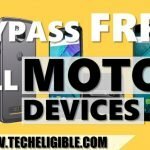 I really need your help to get my new moto e5 play unlocked and ready for use!! Please, when you have the time to help a lady out!! Hit me up and i will inbox you my contact info if that works?? I am willing to even hook up a bit of $$ for ur time!! I have no share button what do I do? Hi, I can’t get pass the screen where I type the code. The code is erased after typing. Screen says Oops device is locked by factory reset protection. contact your IT department. What should I do? After downloading Test DPC, i installed and opened. It shows 2 options in that i clicked on “set up device owner” and then next. A error message appears as “oops this device is locked by factory reset protection. Contact your IT department”. So please help me on this. Same issue for me to. Hi, I have a Moto Droid Turbo and when I type the code *#*#4636#*#* at the last * everything disappear leave a blank field. So I cannot be able to see the Usage statistics screen. There’s an alternate way? i have the same problem no share button what to do?